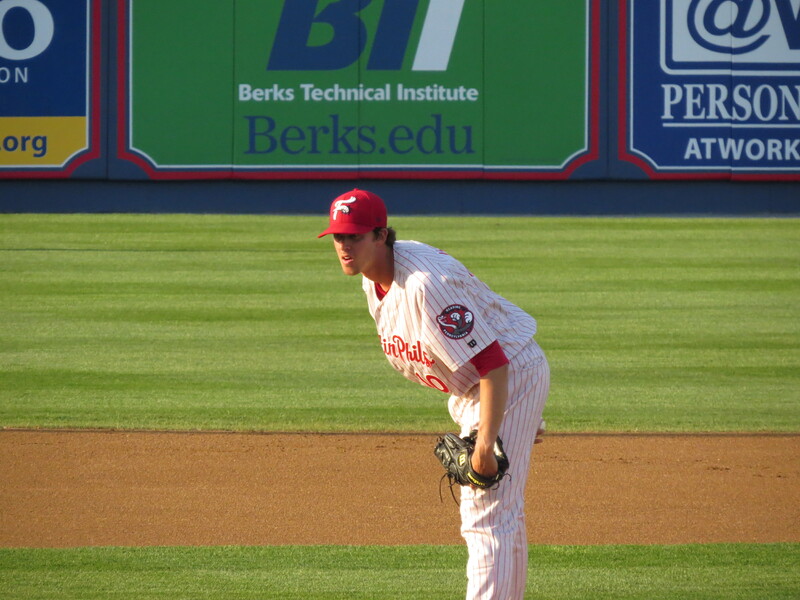 RHP Aaron Nola was the first-round pick of the Philadelphia Phillies last summer in the first-year player amateur draft. It was pick number seven overall; he was chosen out of LSU. 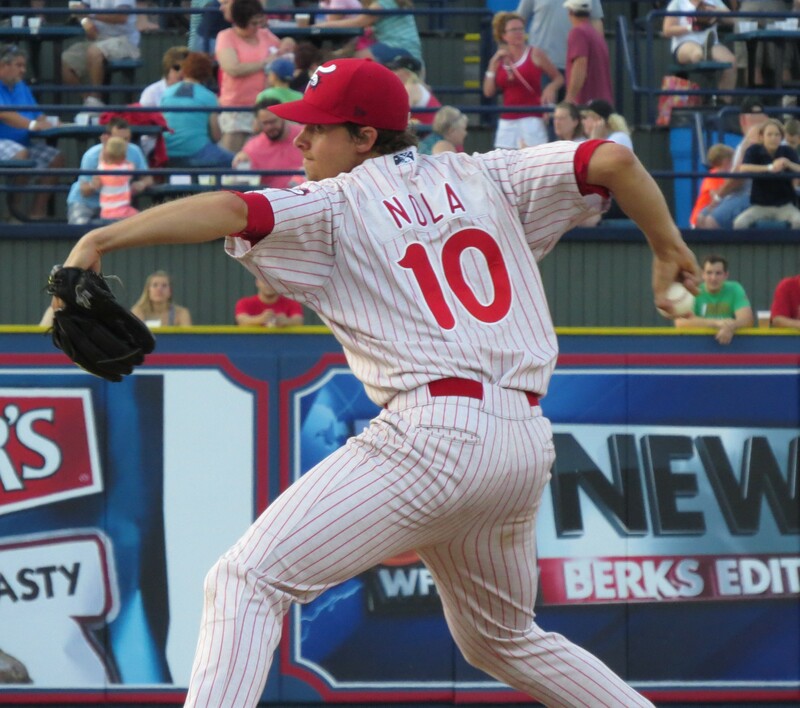 Widely considered the most MLB-ready pitcher in last year’s draft, Nola has been on the fast track to help solidify the Phillies’ starting rotation. He amassed an 11-1 record with a 1.47 ERA during his senior year at LSU. 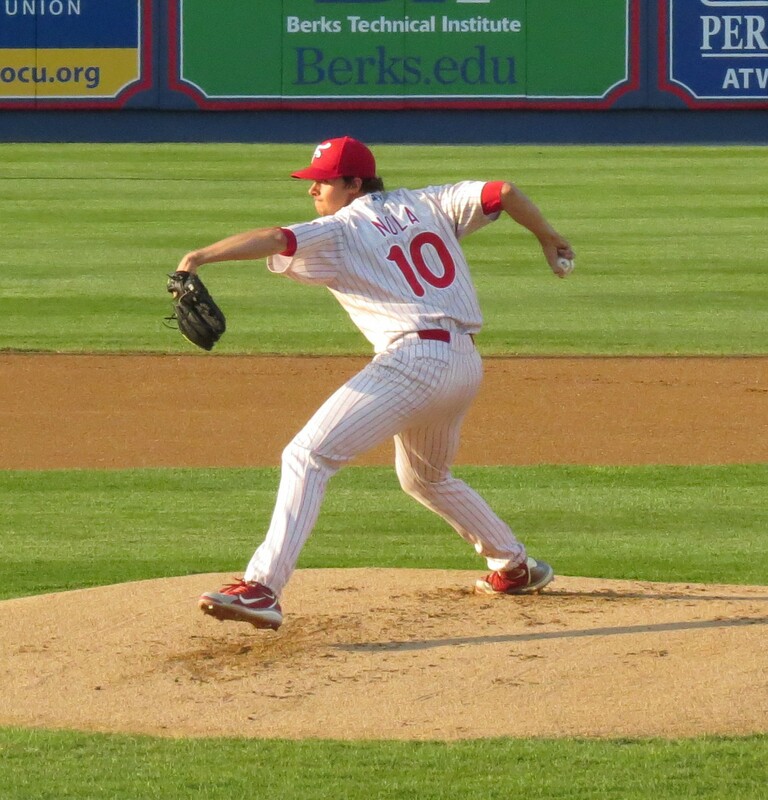 The Phillies threw him right into the fire last summer, starting him at A-advanced Clearwater after he signed. He had a 2-3 record with the Threshers last season, and a 3.16 ERA. 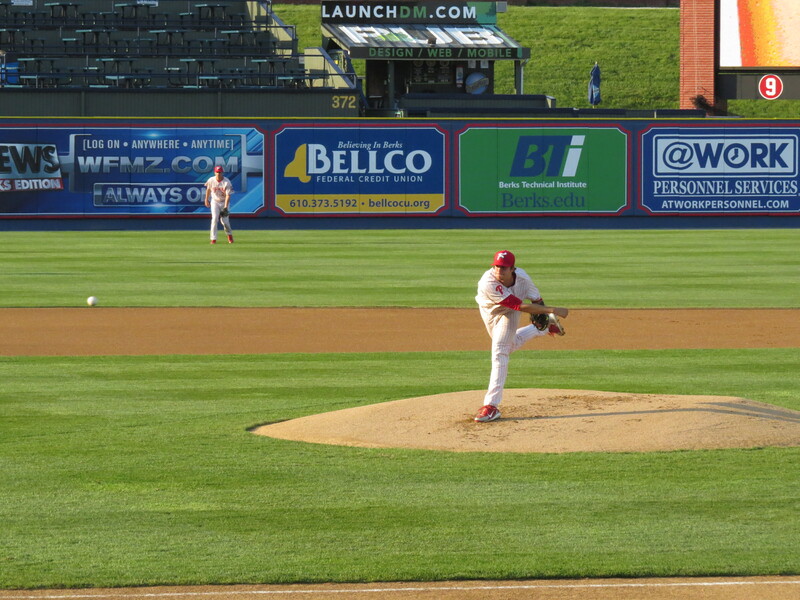 However, 30 K’s in 31.1 innings against only 5 BB led the Phillies to promote him to Reading late last season. In Baseballtown, he went 2-0 with a 2.63 ERA over 5 starts–all this in his first half-season as a professional. He was assigned to Reading to start the season, with details in his game to work on. A 7-3 record with a 1.88 ERA after a dozen starts tells us he’s progressed. 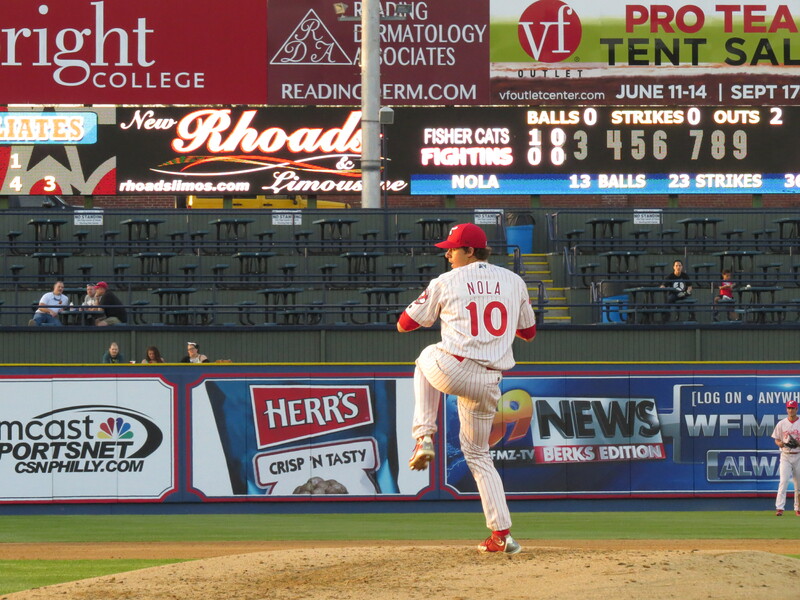 How long will he be with the IronPigs? The rest of the season? 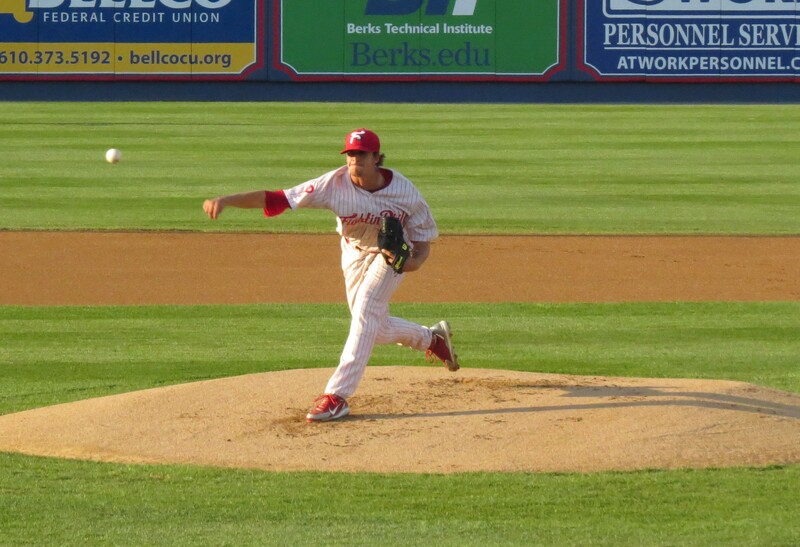 Some expect him to be with the ‘Pigs through the end of our season, then spend September with the Phillies. 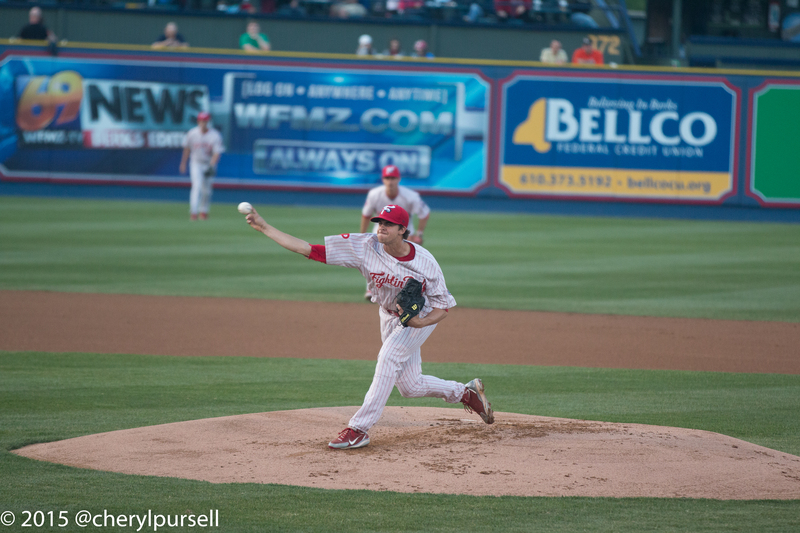 However, the sources I trust the most believe he will only be with the IronPigs for a few starts. Aaron Harang and Cole Hamels are strong possibilities to get traded, and injuries happen all the time. 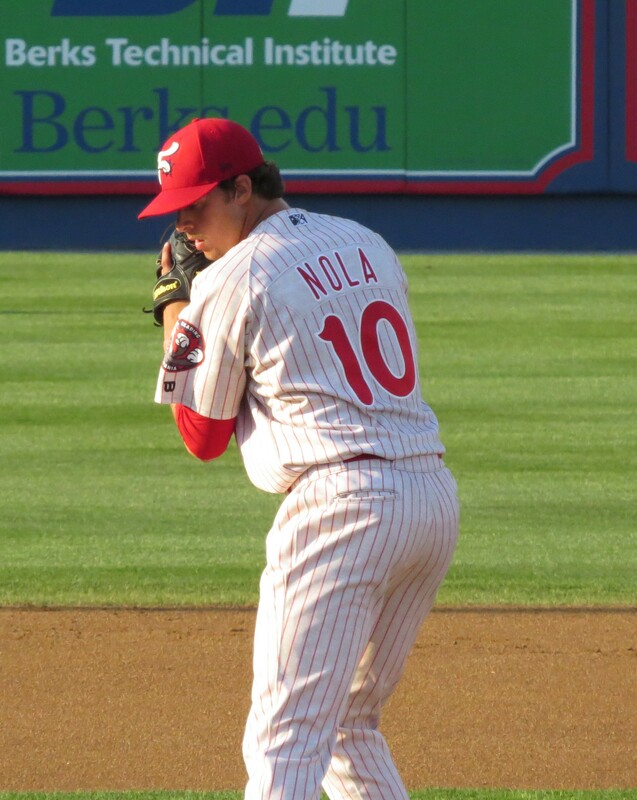 At some point, the Phillies will need a starter, it will probably be Aaron Nola. Come out and see him now–he’ll be in the Phillies rotation for the next 10 years if things go as planned. Watch the first inning. In Reading, Aaron occasionally had difficulty settling in right away, and surrendered a long ball or two in the first inning. Watch to see if he struggles as first, and how quickly he settles in. You WON’T see him light up the radar gun. He’s not a fire-baller; he more of a control pitcher with pinpoint location. He’ll sit somewhere between 91-94 with the fastball, most likely. He’ll be working on his other offerings, as well. He also features a change-up with excellent location, and a type of breaking pitch that some have called a slider and some have called a curve. DON’T expect them to push him. If he should struggle or pass any type of pitch limit (either inning or game) expect them to pull him. They are being very careful with his innings this season. He’s a pro. Don’t expect any extreme displays of emotion–he’s been a true pro ever since he was drafted and it will continue. Young battery. Gabe Lino should be behind the plate tonight; they’ve worked together before in Reading. They’ll be the two youngest players on the team tonight. Expect to hear complaining. Not on the field, in the stands. 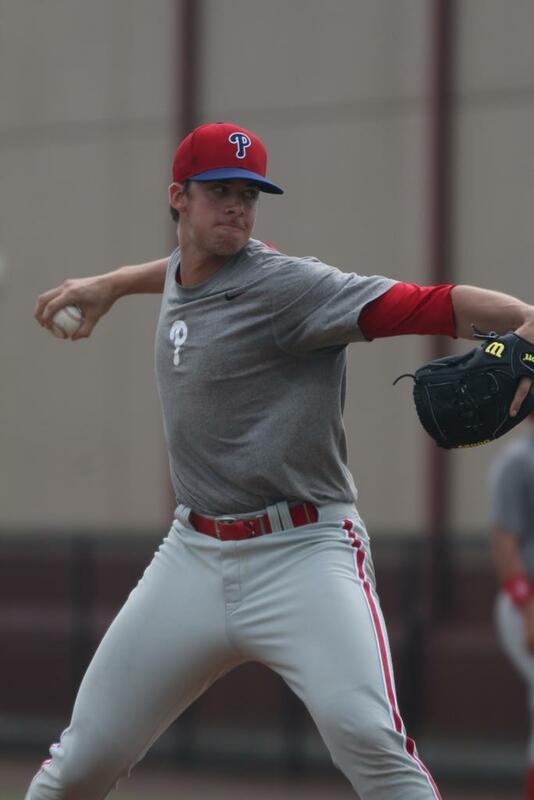 There’s some hype here, and on first impression he might not live up to the expectations of the Phillies Phaithful. He’s good, though, and he knows how to pitch. He’ll be fine, regardless.